Today, I came in at the start of school to see how the morning goes in the second grade classroom. I typically come in to observe, learn, and assist in the afternoon so I miss all the learning that takes place before I arrive. Reconnect with the student absent yesterday and check in to see if he is feeling well. I like how this gives the student the opportunity to come back to school feeling welcome and gives them an opportunity to allow them to share. Ask students about cold lunch and hot lunch while having a learning opportunity. Story problem: If we have 22 students, 1 is absent, and two are having cold lunch. How many students are having hot lunch? A powerpoint takes the students through learning the sounds of this weeks ow/ou. Then works on words: root, blend, suffix, word. Example: clown + cl - ow - n + ing + clowning. 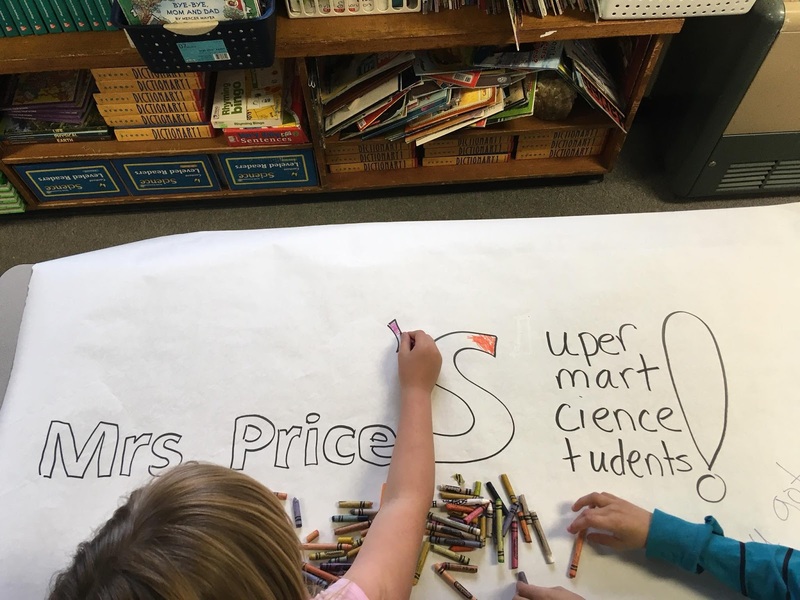 On a roll of white paper, students are making a countdown to summer vacation. Yesterday, they added the days in April to the days they will attend in May for a total of 54 days. Then they sutracted a day for yesterday, arriving at 53. Today they subtract another day: 52 days till summer vacation. 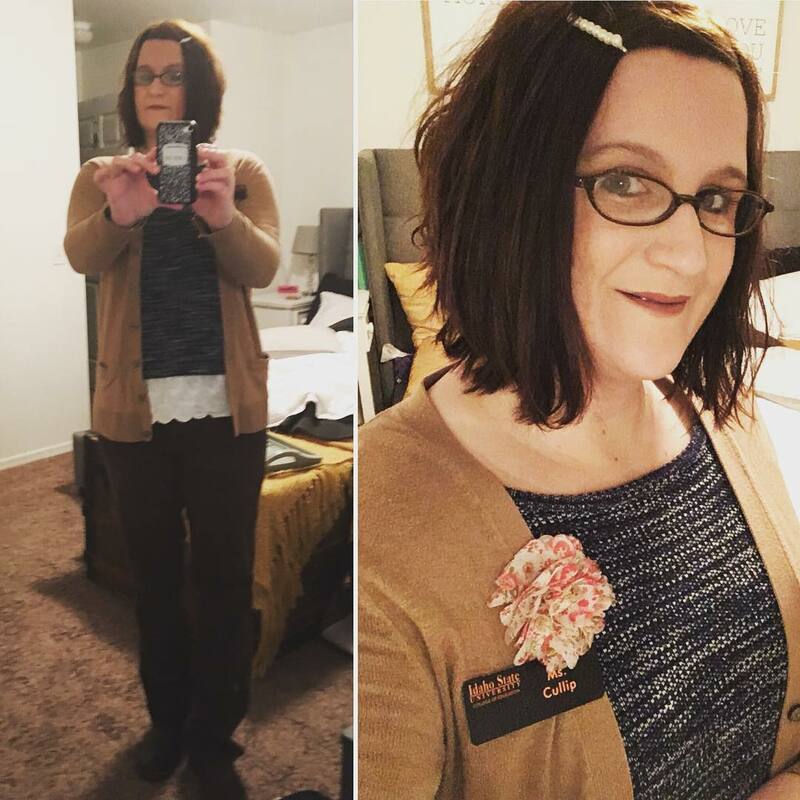 She began with a transition, I really like. My CT stated, "You have until I pass out these papers to talk to those in your pod." As she finished passing out the papers she began to countdown from 10 to 1 until they were quiet. They were ready to begin the new lesson. Spelling words with the spelling patterns ow/ou. They completed a handout which allowed them to sort the list of spelling words to those which have the ow and those who have ou. When this was completed they played a round of Around the World with their spelling words. Yesterday, the students walked around the room, found a noun, and described it with an adjective. Today, they are looking at their noun and adjective and created a verb that their noun can take action to. Tomorrow they will be creating a sentence with the parts they have found. 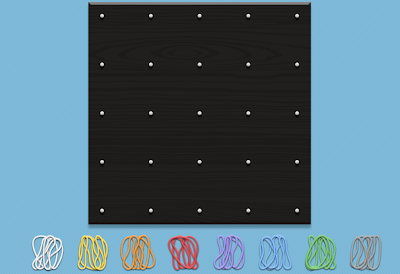 This was a quick activity that helps them work on their parts of speech and using the items they see and use everyday to make it relatable to them. Today they are reading a short story, using repeat reading strategy. This short story was found in their basal reader within the Wonders program. They are to read the story to themselves twice and then read to their partner. Tomorrow they will have questions to answer in regards to the story and an opportunity to share about the story in their own words. While they read silently to themselves my CT worked one on one with a student who attends Special Education. They worked on a list of sight words and she provided her with a short story that she can read this week with her family at home. When students were finished with their reading they were to read their AR book. A combination of activities from an online Geoboard completing vertices based on the questions given by their teacher at apps.mathlearningcenter.org/geoboard. Then completion of some story problems to do on a worksheet individually. When they were done with their worksheet, they began a game Ship Shape Shapes. This was a powerpoint that walked the students through a number of different math problems that will create different shapes. In the end, if done correctly they will have created a ship. The students then completed pages in their math workbook in the program Bridges. The students are led through activity to activity with little breaks in between the entire morning. They are learning new things, applying them to material already learned and then applied to real life events. They are sitting down and standing up. They are working alone, as a class, with a partner, or in a group. Everyone is constantly moving. Because I was sitting still, observing and learning my body got tired; however, I can see how teacher and student kept the learning process going from the beginning of school till lunch. It is an amazing sight to see! 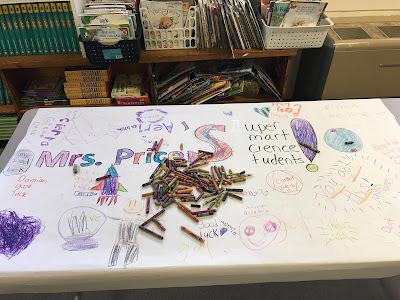 As the students came in for recess it was a nice way to reconnect after a long two week break (I had my spring break and then they had theirs). Students finish math assignment from earlier this morning, while others read for AR. They have new goals for the new quarter. A room arrangement took place over break and the students are in now in pods. Their is a pod near the teacher's work area that has students that are in need of additional assistance. In addition, they are working on a reward this quarter. In order to participate in attending JIVE in April, they will need to have less than three refocus' forms in their file. We are in hopes that all students will be able to participate; however, they will need to work on their individual classroom behavior. Lastly, the third through fifth graders are currently completing their I SATs so there will not be Computers for specials/block time. Anytime students are normally in Computers, the counselor will be coming in for their weekly lesson. Skills: Work on Strong Feelings. While students were at recess today, I took the time to work on my unit plan. I was able to run a few ideas by my CT. Timing and choosing the best activity for the students to meet the goal of the day was the topic of discussion. She prepared me to be ready for some tasks to go very well; while others may not be the best fit for the goal. There will be a lot of trial and error in the first years of teaching. My takeaway, failure may happen but do not give up hope something will work and students will obtain the goal when the moment is right. Students are working on their iStation practice for upcoming end of the year IRI tests. Students are are working on a topic free write: What I did for Spring Break. They are to finish the writing with a picture to support their paragraph. They are to focus on conventions and sentence structure. The second grade class has adopted one of the fourth grade classes that is taking the ISATs this week. Tomorrow they will be taking the Science test so the class made a sign to cheer them on! They wrote individual messages on the sign wishing them the best of luck on their testing. What a great way to support their fellow students! 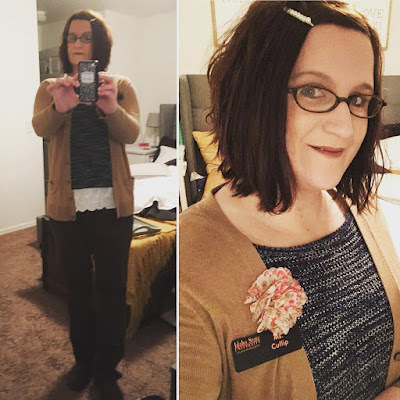 The Literacy Spot Week 10! 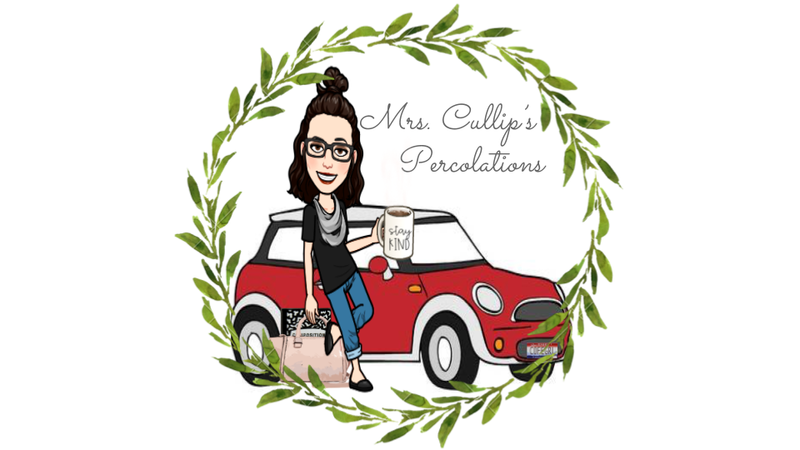 Head over to my other blog, Mrs. Cullip's Percolations where I share my lessons & experiences as a caffeinated, first year middle school teacher percolating the big questions in 6th Grade! Some of the links on this blog are “affiliate links.” This means if you click on the link and purchase the book, Read. Write. Sparkle. Coffee will receive a very small commission. These commissions help me pay for the site, the books I read, and the coffee that I drink. Read. Write. Sparkle. Coffee is a participant in the Amazon Services LLC Associates Program, an affiliate advertising program designed to provide a means for sites to earn advertising fees by advertising and linking to Amazon.com. Opinions expressed on this blog are solely that of the writer, Jeanie Cullip. Contents do not necessarily represent opinions of other entities, including employers, publishers, etc. Read. Write. Sparkle. Coffee. is the intellectual property of Jeanie Cullip. Please contact her at readwritesparklecoffee at gmail for use of any portion of posted blog entries or content. © Jeanie Cullip. Read. Write. Sparkle. Coffee, 2014-2018. Ethereal theme. Powered by Blogger.